Dmitri Malkov may not be a name many modelers are familiar with, but over the past 6-7 years many of us have become familiar with his work. He’s "The Russian" who Fotios Rouch has referred to as the designer of the better Collect-Aire resin kits released since 1995. He has also been the main designer of the better and more useful sets for the late Meteor Productions - including the well-received B-52 conversion sets that were the last Cutting Edge release - after the departure of Scotty "Mr. Cockpit" Battistoni. Dmitri has now decided to go into business for himself as Dmold Productions, and has released three excellent aftermarket sets for popular kits. 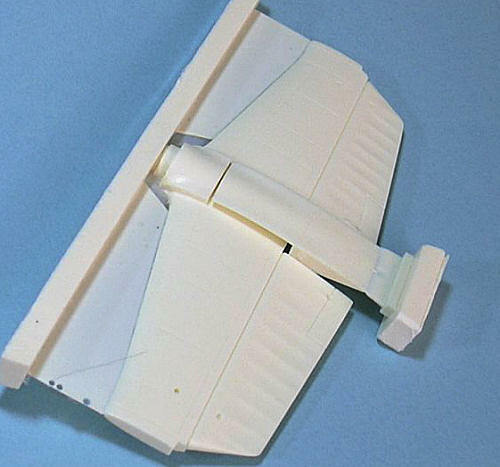 Set 48001 is 2-part set that corrects the horizontal stabilizer for the 1/48 Classic Airframes Dornier Do-17Z, for which Dmitri was the designer of the original kit. The piece is sharp in detail, cast in cream resin, and is a drop-fit replacement for the kit part. Most importantly, it provides "depth" for the upper fairing, which is not present in the kit part and greatly improves the overall appearance. 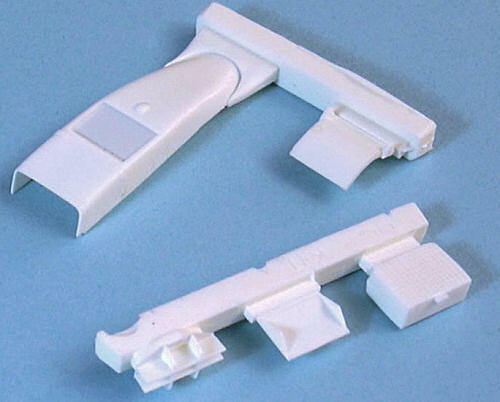 Set 48002 corrects the radiator housing shape and radiator for the 1/48 ICM MiG-3. 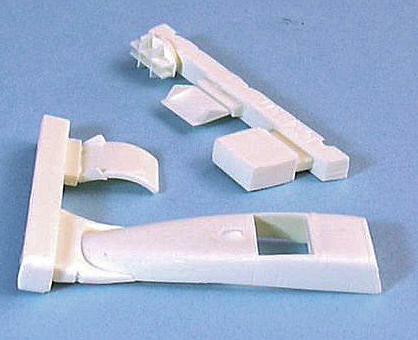 This is in white resin and again is a drop-fit replacement for the kit parts. Set 48003 corrects the radiator housing shape and radiator for the 1/48 Trumpeter MiG-3, and is a drop-fit replacement molded in white resin. All three sets are of excellent quality with no mold or casting imperfections. The radiator replacement parts are at least as thin as the injection-molded parts they replace. Dmold products can be obtained from Dmitri’s Dmold Modelworks directly at www.dmold.ucoz.com . Currently, D-Mold does not have a North American distributor, so all prices are in Euros and orders can only be taken by credit card or Pay-Pal. All three sets are highly recommended for the modeler who is a fan of these airplanes and wants as accurate a model as possible. Dmold’s next products will be corrected F6F-5 and F6F-3 cowlings for the Eduard Hellcat kit.